1.315 Acres. Zoned B-2. Easy access to I-88 Dixon on and off ramps. Inside city limits, water, sewer, and electric near by. 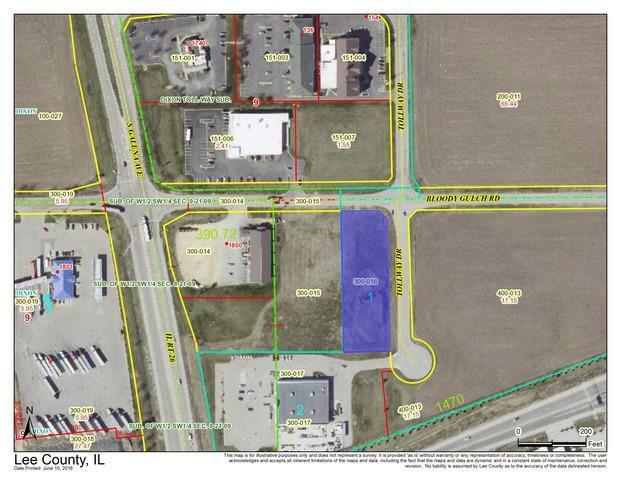 Many development possibilities; Restaurant, Business Complex, Retail, Office Space.